This year we attended the licensing Expo featuring 3 new MOD™ designs. We got a lot of interest from potential investors that want to be part of the next stage of Outdoor Robotics – Manufacturing and distribution. It was a new show for us. But since we have a lot of people now interested in purchasing OR – MOD products we had to get going on finding the right fit investor. 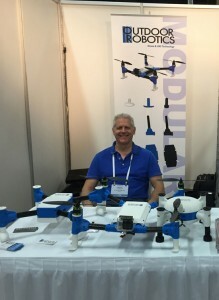 I can say that the show was a success and if things keep going the way they did at the show we will very soon be getting MOD Drones out available in the market.